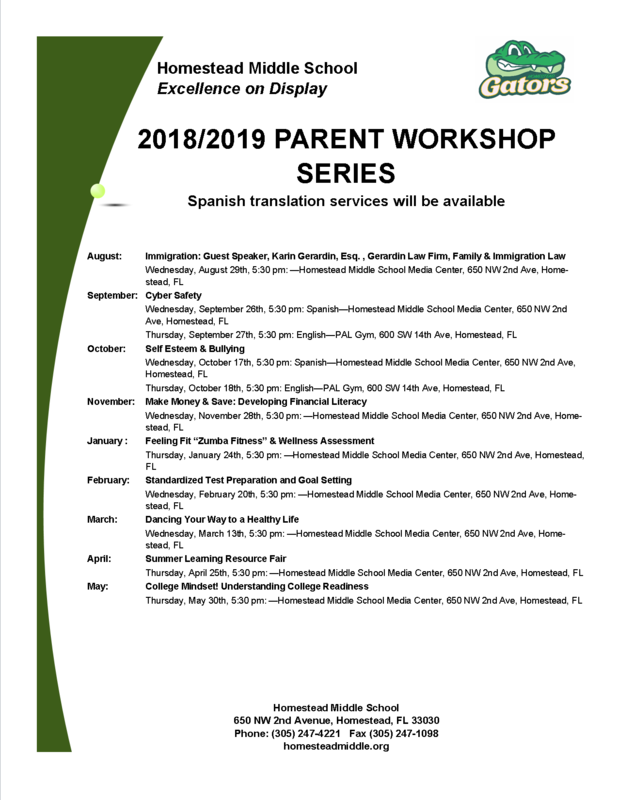 Homestead Middle School International Baccalaureate Middle Years Programme (IB MYP) recognizes that students come from a variety of cultures, backgrounds, and have a range of academic and other needs. In Homestead Middle School (HMS), there are approximately ninety (90) students who have been recognized with special educational needs. Those needs are as followed in HMS, Intellectual disabilities (IND), Emotional Behavior Disabilities (EBD), Specific Learning Disabilities (SLD), Autistic, and Other Health Impaired. The students’ needs also encompassed speech disabilities, certain medical conditions, mental health disorder, and the gifted students. In the IB MYP at HMS there is a Program Specialist in the school who is in charge of Special Education; with the IB Coordinator she works well at identifying students’ needs and acting when needed using Respond to Intervention (RtI) to provide intervention and educational support to all students at increasing levels of intensity based on their individual needs. All our students with Special Education Needs are serviced following Federal Mandates of the Individuals with Disabilities Act (IDEA). The IDEA was designed to protect the rights of students with disabilities, by ensuring that everyone receives a free, appropriate, public education regardless of ability. Furthermore, IDEA strives to provide additional special education services and procedural safeguards. Individualized Educational Plans (IEP) and Educational Plans (EP) are written to comply with the students’ needs. Students with specific needs are placed in a least restrictive environment based on their needs. The goal is to place them as much as possible in general education though based on needs we can also offer separate classes or resource settings. In all instance, the teachers design learning experiences that allow all students, including all those who have special educational needs, to meet the rigorous standards of the HMS IB MYP. Teachers provide all students with opportunities to achieve these goals by carefully constructing differentiated teaching strategies to maximize students’ potential, and also allow the student to demonstrate their learning in different ways. Although the IB MYP can be very rigorous and intense for many students, this does not preclude the admittance of students with disabilities. The Special Education students are supported in many ways. Many teachers stay after school to provide needed support to all students SPED included. The students’ needs are not only met academically, in other areas such mental or physical health wise, their needs are also met. Several other para-services are offered in HMS IB MYP based on the students’ needs. Indeed, in the school we are able to meet students’ needs by providing the following services: EBD clinicians, Speech and Language therapist, Art Therapist for EBD in lieu of therapy, Hearing Inherent teacher, and Visually Impaired teacher. The previous services and others are provided based on the IEP or the EP requirements. The school also has a clinic nurse that service students who need to take medicine. Ultimately, the goal is to ensure that the SPED students who are in HMS IB MYP perform well receives the maximum attention to not only achieve academic success, but also to achieve successful personal growth as a true well-rounded IB student.